Get a low cost minicab in Queens Park! It's time you stopped browsing the net for a cheap minicab in Queens Park. 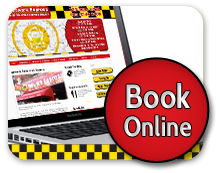 Devon Cars Minicabs is your local private hire minicab operator open 24 hours a day. 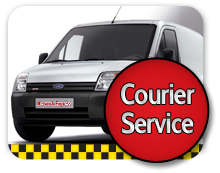 We've been successfully delivering great quality minicabs at affordable rates for over 35 years. Isn't it about time you tried us too? We can have a minicab in Queens Park or anywhere in NW6 within 5-10 minutes. This is because our fleet is controlled via the best booking and dispatch system in the market coupled with the fact that our cars are constantly floating around all the major hotspots in Queens Park. We are a licensed minicab operator and all our vehicles are fully insured. Our drivers are only hired after a thorough vetting process and trained to meet our exceptional standard of customer care. If you are looking for a minicab in Queens Park that is safe, clean and reliable then make sure you call Devon Cars Minicabs. Compare traditional taxi fares with a minicab in Queens Park and you'll find that we can save you up to 50% on your travels. Our minimum charge now covers almost 2 miles which is fantastic value. 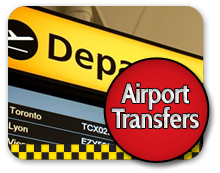 Our airport transfers are miles cheaper than a taxi any day of the week. Take advantage of our discounted minicabs in Queens Park by calling us on 0203 002 9190 ! We have fantastic cash rates to local supermarkets, hospitals and places to visit in Queens Park. So if you need a minicab near Queens Park station, Queens Park Hotel, 291 Suites Hotel, Queens Park Community School and Yours and Mine restaurant in Queens Park call us today for the best minicab rates in town. We also service customers going to and returning from McGlynns Bar, The Goodship and Ariana 2 Asghan restaurant in Queens Park. Get great rates to Queen's Park Dental Surgery, Lonsdale Medical Centre, Park House Medical Centre in Queens Park from Devon Cars Minicabs now!